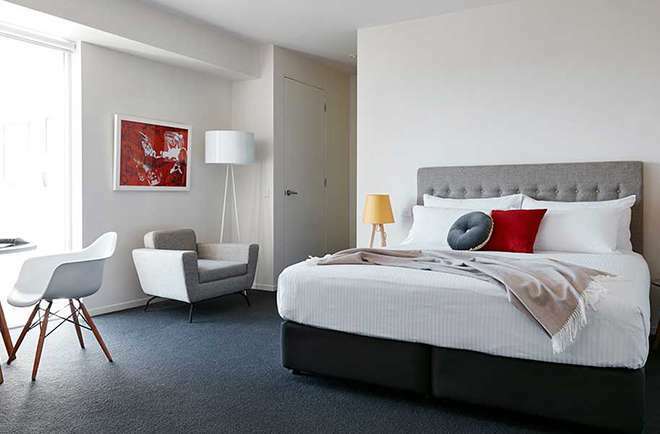 Select a suite to suit your taste at our accommodation in Adelaide, The Watson. 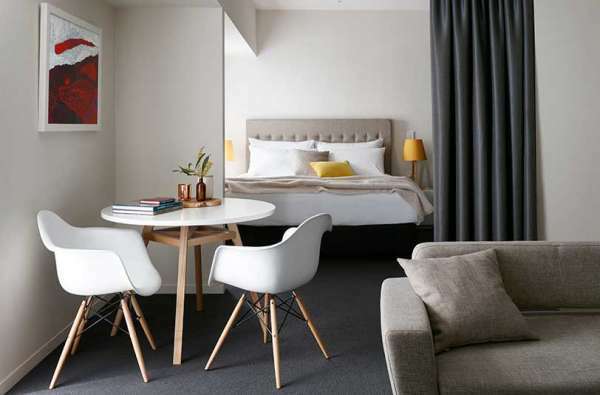 With a view of the Adelaide Hills, the Studio Suite is ideal for a single or couple’s retreat. Looking for a bit more leg room? The Deluxe Studio Suite is the way to go. 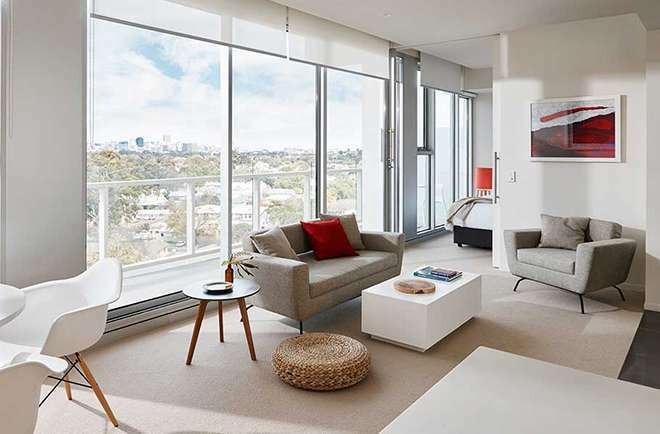 For a luxurious apartment-style living, there's plenty of space to stretch out in this suite. 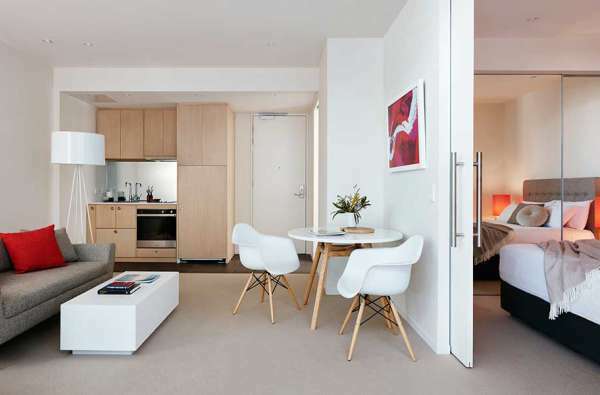 Families and groups can find room to move in the comfortable apartment-style suite. 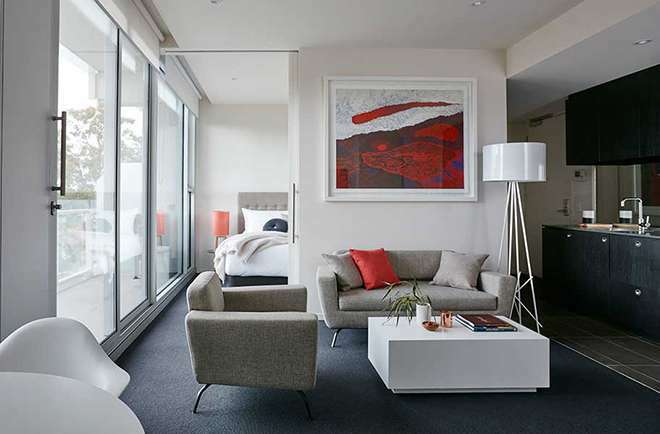 Perfect for a family or two friends, this open plan suite has a connecting second bedroom. 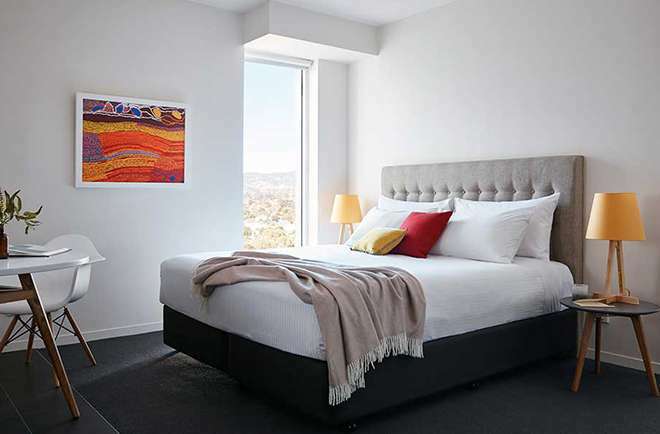 This apartment-style suite offers up room to work and play, with views from your own private balcony.